Lead Designer Dan Nanni gives us the lowdown on Lawbreakers. It’s interesting to see what a game can transform into after only a year of work. 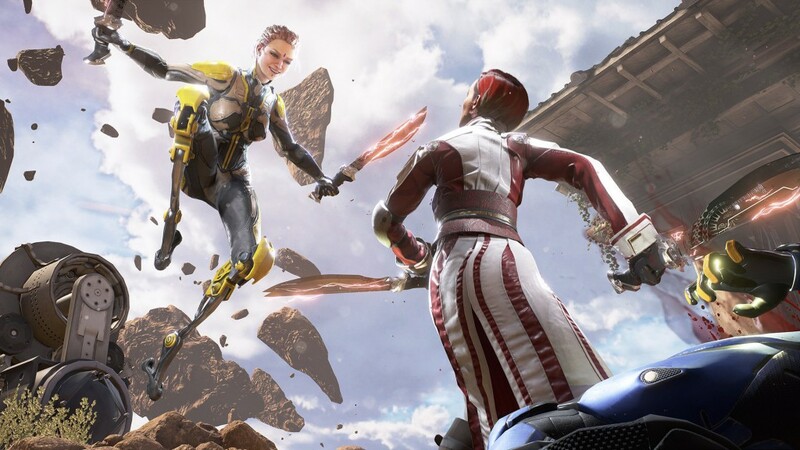 For Boss Key Productions’ Lawbreakers, it definitely shines brighter than last year. 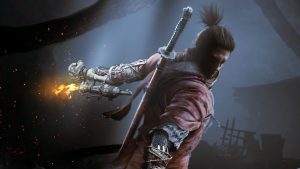 With tweaked mechanics, sped up characters, and an interesting take on PvP multiplayer, there’s no saying how far this game can go. With so many weapons and maps, there’s a great time to be had for anyone who’s into a strong adrenaline rush. We recentlty sat down with Lead Designer Dan Nanni to find out everything we could about this heart pounding game. 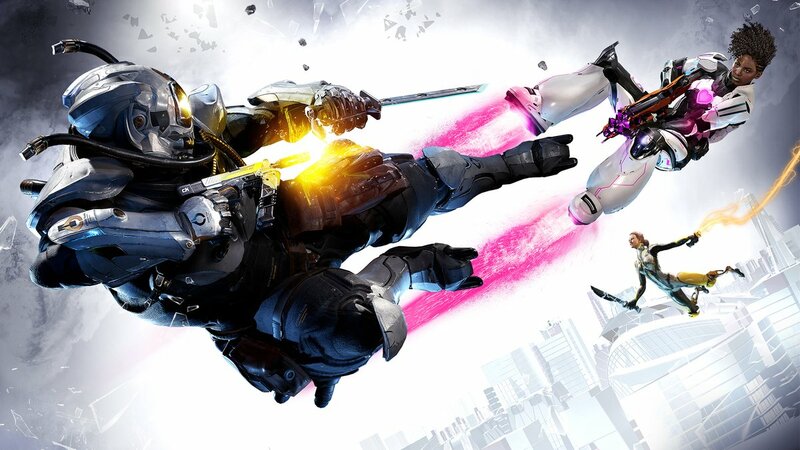 Lawbreakers has been compared to Overwatch and other hero shooters since the beginning. How has the journey been since then? The journey’s been great. 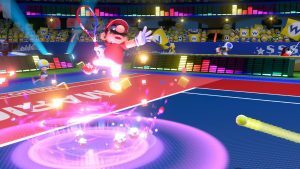 It’s great to get the game out to the public’s hands, and let them remind people that this is nothing like the other games that people compare it to. It’s easy to look at a game and a screenshot and say, “I’ve seen that before.” It’s a screenshot, it’s not moving. And then you watch a video and you’re like, “they’re shooting guns – I’ve seen that before”. We are like, “look, we’ve been making first person shooters for over 20 years now. All first person shooters from the beginning – and yes you’ve seen a lot of this before, but it’s no different than an action movie, or a horror flick.” We are going to keep on remaking the genre, and we made our own version of that. It’s our first person shooter, it’s got its own unique way of playing, and I don’t think anybody’s ever really played this game before.How many maps and modes are we currently looking out for the final game? For the final game we’re going to have eight maps, and five modes at launch. And we’re going to keep on releasing more as long as the game is there to support. "We wanted to allow players to express themselves by looking differently between their skins, their weapon skins, their character skins, portraits, weapon stickers, and that stuff." Is there any customization in the game at all? Visual customization will be there. We’re not doing gameplay customization. We want to keep the balance pure. We worry about balancing the weapons and abilities with a lot of depth and complexity per role. We didn’t want to overdo it by tossing out all of these variables that makes competition harder to understand. But we wanted to allow players to express themselves by looking differently between their skins, their weapon skins, their character skins, portraits, weapon stickers, and that stuff. Going further into that how do you balance the character so strategically? Time, effort and iteration. It’s not a precise science. We play the game ourselves a lot. Many hours per day. Before we are ready to get something out there and beta test the environment, we’ve already put hundreds if not thousands of hours of cumulatively into the character; to make sure that it actually functions right. At that point we’re ready to drop it in and see what happens. Every single time we do that, it changes the meta somewhere. It’s how our other characters interact with it, how it adds to the game mode and changes how the game is played. And at that point what we have to do is we have to establish – the game that we have right now is the core, and anything that gets added into it has to play nicely with that core loop. It can’t change dramatically anymore. Right? We can’t have a fifth character role that may completely change the way the game is played. Now it has to fit into the world we’ve created. I’ve noticed there’s more precision in the weaponry, and it feels a little faster-I’m not sure if it actually has been sped up or not. What has changed since last year’s E3 compared to this year’s weapons and balances? So you definitely feel the speed. There is some speed up in action. It’s not a quantifiable number because some characters run much faster; some of them went slightly faster. Some of it is a perception thing, like, the animation speed matches a little bit better. The world has been built to support speed a little bit better. Abilities refresh faster, you can use them quicker. You’re also noticing some faster roles we are introducing into the game as well. Like the wraith character – super fast, really agile. It really adds speed to the game. The new map that you played over here – these are just examples of what we’ve added. Double the roles, more than double the amount of maps compared to last year. More than double the amount of game modes since last year. We’ve just been adding more and more content to make it a fully fleshed out experience. "From starting up a new studio where we didn’t know what we wanted to make, to where we are right now. It really wasn’t until sometime in the end of 2015 that we felt like, “this is it, this is the game that we want.”"
What is the current process of designing heroes? How has that evolved since the game’s beginning days? We had a different game in the beginning…the very beginning. We were an asymmetric game at one point-there were going to be different roles and different sides. We thought about how to these play differently and similarly. But all that changed because we wanted to make sure that we had the same rules on both sides, to get that competition to feel more fair. When we did that everything grew from around that. It’s hard to say what’s really changed because, really everything has changed from the beginning. From starting up a new studio where we didn’t know what we wanted to make, to where we are right now. It really wasn’t until sometime in the end of 2015 that we felt like, “this is it, this is the game that we want.” Then it’s about iterating on top of that; then it’s about releasing it to the community. And you guys telling us, “it’s not fast enough. The game isn’t precise enough. It’s not competitive enough. We want more modes to do this.” And then we listen, we iterate, and we drop more content, and we change things around. It’s been a crazy evolution. 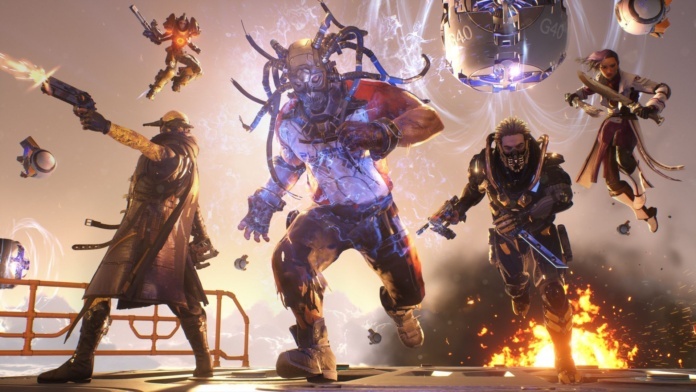 Given the unique setting, is it possible that Lawbreakers receives some single-player or PvE content down the line? It’s totally possible, it’s just more of a question of the time and the manpower more than anything else. We are a small team, so we have to focus on what we can make within the time. So if we made a single player game on top of it, we’re talking many years of development time before we can release the game. And we didn’t want to wait that long. We can launch a fully solid multiplayer experience, and if our players start yelling at the top of the roof, “we really want a campaign. We want some sort of co-op campaign experience.” Maybe that’s where we can go in the future. We’re not writing it off, that’s for damn sure. We can’t say that it’s our focus right now. We will watch the multiplayer, and we’ll see where we go from there. Though there’s interest in the game coming to Xbox One eventually, why was the PS4 version confirmed first? 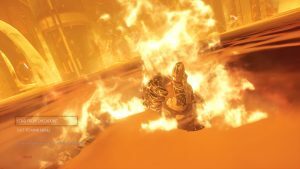 What has it been like working with Sony, especially given all the years dealing with Microsoft for Gears of War? You know, it’s Microsoft and Gears of War for Cliff Bleszinski and it’s Sony and Killzone for Arjan Brussee. So all of us have different experiences, different groups that we worked with. We basically had to make a financial decision more than anything. PlayStation had a larger user base. We knew we could only support one platform right now. Being a small studio we had to make a decision that was the most financial, and economic sense for us to prosper. I would definitely not write off Xbox One for the future. But right now if we put Xbox One into our plans we wouldn’t be launching the game in August. Right now, what’s the frame rate and resolution on PS4 Pro? PlayStation Pro is 60 frames per second. PlayStation base is 60 frames per second. We are maxing it out. We are 4K on PlayStation 4 Pro at 60 frames per second. It’s all about maximizing the performance and make sure it plays competitively. For a company that is pushing a visual boundaries, what is your take on Xbox One X? Xbox One X is awesome. When you give us hardware we’re going to maximize it, that’s what we do. We build on PC, and there we take advantage of the latest and the greatest video cards. But we also have to support the older video cards as well. If we wind up supporting the Xbox we have to make sure it runs on the Xbox One X and the Xbox One. It’s about making sure that everybody who gets to play the game doesn’t have a poor experience regardless of their set up. Because if you give a poor experience in a competitive environment, you really can’t blame yourself anymore for the mistakes that happen, or the person’s skills. Sometimes you got to blame the hardware. And that’s not fun. So we don’t want the hardware to ever become a discussion point, especially for a console. Lawbreakers isn’t coming to the Nintendo Switch. But if Nintendo Switch sells well do you think there’s a possibility? There’s a possibility for everything and anything in this world. I think the hardest part with the Switch is the controls. Look at the game that we have right now, and we just literally by the skin of our teeth put the entire game and the control pad that the PlayStation has. That means that we could probably make it work for the Xbox One in someway, right? But if you’re looking at the Switch the base controller that’s on the unit, it doesn’t have as many buttons. Well, you know the beam that shoots out? You can use motion. You could motion it, but you’re not looking at your screen anymore while you’re playing. I wouldn’t be surprised. If we ever did something like that we probably would have to look at it from, “Okay, how do we support this as a unique platform controller experience, and what could we take advantage out of it?” Who knows? I’m never going to discount anything. "We don’t want to force you to buy something that you’d rather grind for. You’re welcome to do so, but in the end it’s about the gameplay." With all the uproar over Overwatch’s Loot Box mechanics (particularly when it comes to expensive skins during limited time events), do you foresee Lawbreakers having this issue in the future? I honestly don’t know if we’ll have the issue. It’s hard to really figure out what our metal will be when it comes to unlock in crates. We have a similar system to unlock in crates. We didn’t reinvent the wheel when it came to that. We might run into the same pitfalls, but at the same time we have a lot of learning’s on monetization as well. We’re all new to how to monetizing a game, to building up our core product. But in the end it cosmetics driven. There’s a lot of ways to unlock cosmetics for free. Keep on playing the game, you’ll keep on getting those cosmetics. We don’t want to force you to buy something that you’d rather grind for. You’re welcome to do so, but in the end it’s about the gameplay. And from the gameplay’s perspective, you’re always going to get that. And there’s no grinding for that, right?